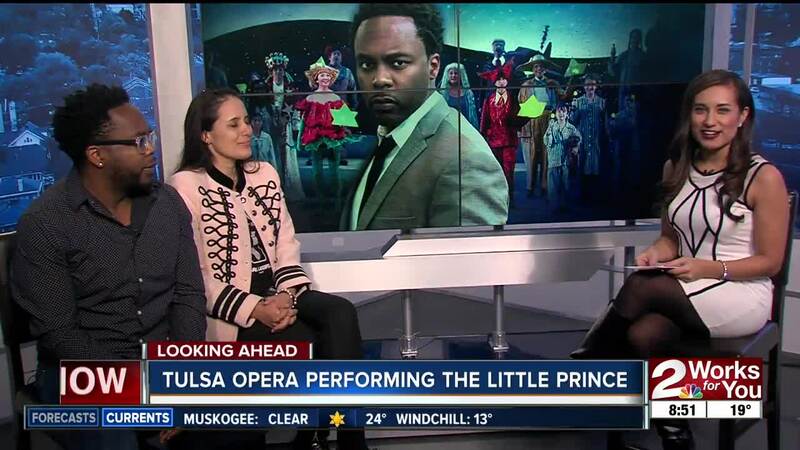 Two special guests from the Tulsa Opera stopped by our 2 Works for You studios on Saturday morning to preview the opera's upcoming performance of "The Little Prince." TULSA, Okla. — The Tulsa Opera is getting ready to perform "The Little Prince" at the Performing Arts Center next weekend. The conductor, Lina Gonzalez-Granados, and the baritone who plays the story's pilot, Will Liverman, stopped by our 2 Works for You studios to talk about the upcoming performances. The Little Prince is a tale of friendship and love by French writer Antoine de Saint-Exupery which follows a little prince and pilot in the Sahara Desert. The first show will take place on Friday, February 15, at 7:30 p.m. and the last one on Sunday, February 17, at 2:30 p.m.